love your nails!!! I'll have to try this myself. Thanks for the comment, glad you like my blog. Hope you'll continue to follow. Thanks for your comment:) great blog! NAVAJOOOOOOOOOO!! 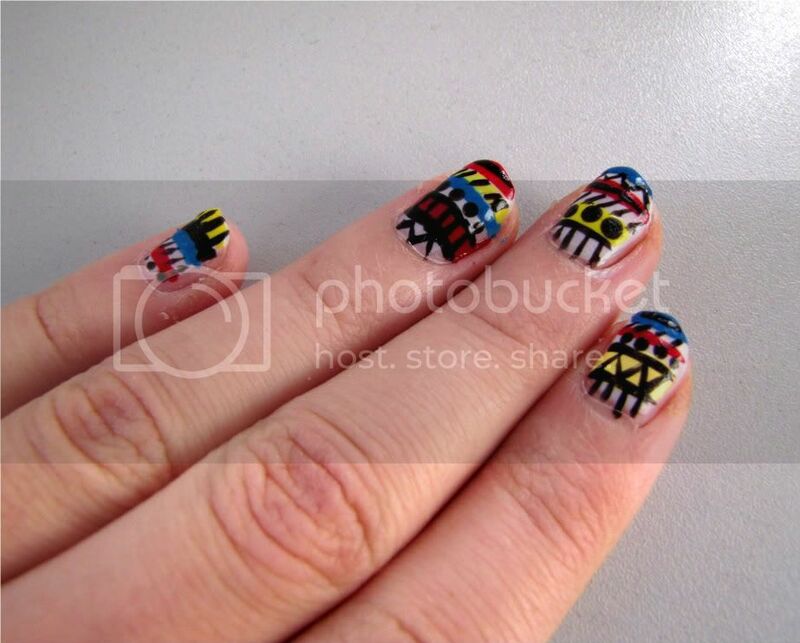 =) I love your nails style! amazing good!! HOW did you do this, it's amazing! Thanks for stopping by my blog, I hope you visit again soon. Love your blog and i'm now following. Wow! Love the nails. I am a mascara and eyeliner girl too, and nails are not really my thing. I don't know how I would fare with a similar challenge. Love your blog. Am following you now. Would love it if you could follow back. 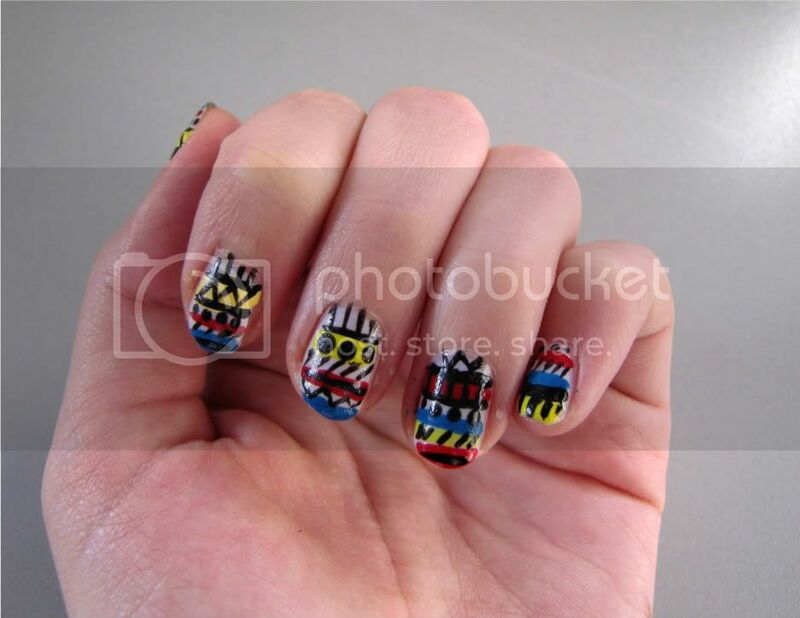 Love nail art! YOurs look amazing!! i feel the same way, but your nails look phenomenal.. i want to try! You have a nice blog;). Thank you so much for your sweet comment girl ♥. I love your nails, they're amazing ! I love love love these nails!! Great colors and I think you did a fantastic job. Thanks for the lovely comment, I'm following! I worship you for your patience to do this.. IT IS LOVELY!!!!! Come over and do my nails?